Those dealing with arthritis know that arthritis can make life very difficult due to chronic joint pain. Arthritis also results in stiffness, which can make performing every day activities feel near impossible at times. While it may not seem like it, exercise is actually one of the most effective ways of dealing with arthritis pain and stiffness. Studies have shown that participating in low-load, moderate intensity exercise actually helps to improve pain, function, mood and quality of life without compromising the severity of the arthritic condition. It can help reduce your overall fatigue and allow you to live an independent lifestyle. Exercise can also help to manage other possible co-existing conditions such as diabetes, heart disease and obesity. Strengthening of muscles around your joints: Strengthening exercises are vital for people suffering from arthritis. Strengthening the muscles around your joints can actually help take load and pressure off of the joint itself. You should do exercises that work all of the major muscle groups in the body. Strengthening exercises include lifting weights (either with dumbbells, weight machines, or weight cuffs), using resistance bands, or even your own body weight. Maintenance of bones: The best exercise for your bones is weight-bearing exercise. Like muscle, our bones respond to exercise by becoming stronger. 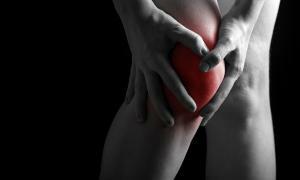 Arthritis, in many individuals, leads to inactivity due to the resulting pain and stiffness. However, reducing your activity level will actually have a negative impact and can lead to conditions like osteoporosis which leads to a higher likelihood of fractures. Performing weight-bearing and low impact exercises such as walking, dancing, hiking, and climbing stairs can help to improve your overall bone health. Controlling fatigue: One symptom of arthritis is the onset of fatigue. Fatigue is the feeling of extreme tiredness or exhaustion. The symptoms of fatigue can vary from person to person and may last for short periods or long periods of time. Exercising is one way of defeating this fatigue and getting through your entire day. As mentioned above, exercise can improve muscle and bone strength, improve your flexibility, and improve your sense of well-being while increasing energy. Listen to your body: take breaks when you need to, try to maintain good posture during activities, and pace yourself. Improved sleep: With the pain and uneasiness that comes with arthritis, having a good night’s sleep can become nearly impossible. But with the help of exercise, you can actually improve your sleep. Studies have shown that participating in regular exercise not only helps with the quantity of your sleep, but also the quality of your sleep. Exercise helps to boost the mood, reduce your stress levels, and can help bring on sleepiness at night. Maintaining health and fitness: Exercise is vital for maintaining the health of your body. We need exercise to maintain our cardiovascular health and to help prevent heart disease, diabetes, and obesity. We also need strength training to maintain our muscle strength and bone strength to help prevent muscle strains and more severe conditions such as osteoporosis and fractures. It may be difficult at first to try out exercises in such a condition, but it becomes easier with time. The key to starting a new exercise program is to start slow. You may need to start with 5 minutes of exercise, every other day, and that’s okay! Listen to your body and progress as tolerated. It generally takes people with arthritis longer to build their body up to a new activity level. Also remember to modify your activity as needed. Depending on the day, you may need to change the length of your exercise routine, or change your intensity. Just remember, doing something is better than doing nothing. And finally, ask a health care professional if you have any questions regarding your exercise routine. We are here to help! So get out there, enjoy a nice walk, and enjoy a happier, healthier life.